Dirty swords swing and steel clashes with steel. C and I were running through the first season of Game of Thrones—years late in catching up with this crazy medieval series from HBO when my phone rang. “Wanna tag along at Networld Hotel for a staycation?” Came the voice from the other end of the line. “When?” I asked. “Today,” he replied. I packed up my iPod, my laptop, a couple of boxers and shirts and was off in a jiffy. I’m gonna finish the rest of the GOT episodes in the luxury of a soft hotel bed. 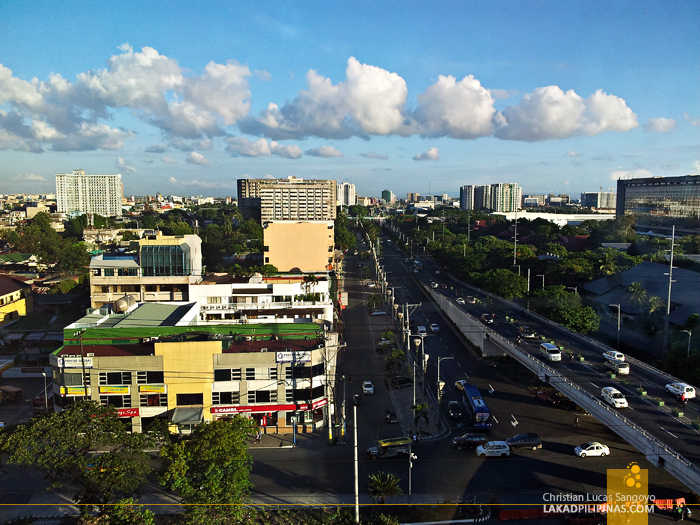 Networld Hotel Manila is located right at the corner of Buendia and Roxas Boulevard. Getting there was a breeze. 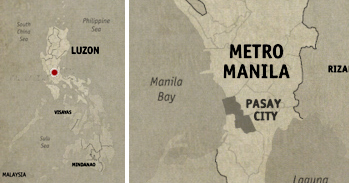 An LRT ride and a quick hop in a jeepney and we’re there. 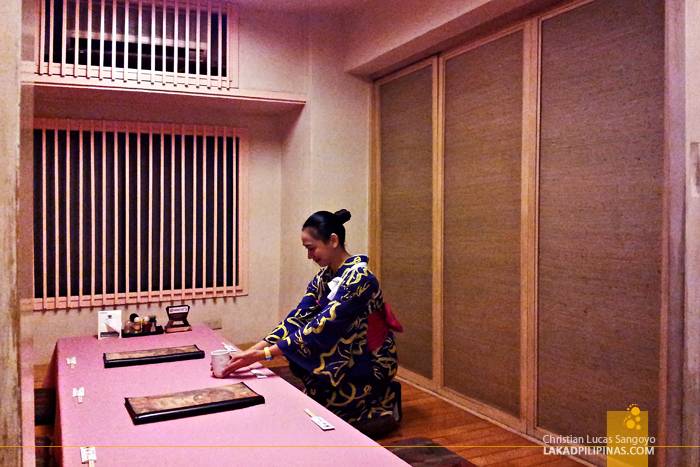 As we entered the lobby, I immediately noticed that the hotel caters mostly to Japanese tourists. Magazines and signs in Katakana are scattered around the place and smoking is allowed inside the building. The hotel is as old-school as a hotel gets. It’s all glitz and glamour here. 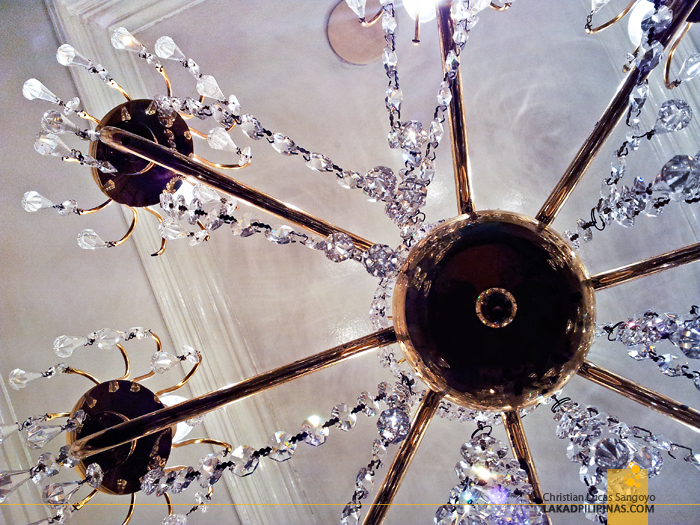 Plush sofas, heavy drapes, crystal chandeliers, and gold-plated surfaces everywhere. I’m really not used to this kind of opulence, my taste usually running along the bare-white modernism that’s everywhere these days. But yeah, it’s not hard to get used to this. We were led to the seventh floor where our room is located. Our jaw almost dropped as our door opened. We have a corner room, ladies and gentlemen! 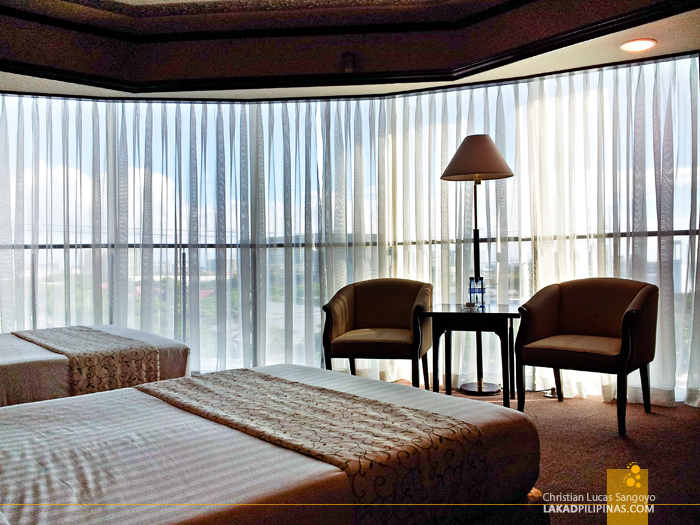 And yes, we do have a curving panoramic view of Manila Bay from our beds. Wow. Simply wow. 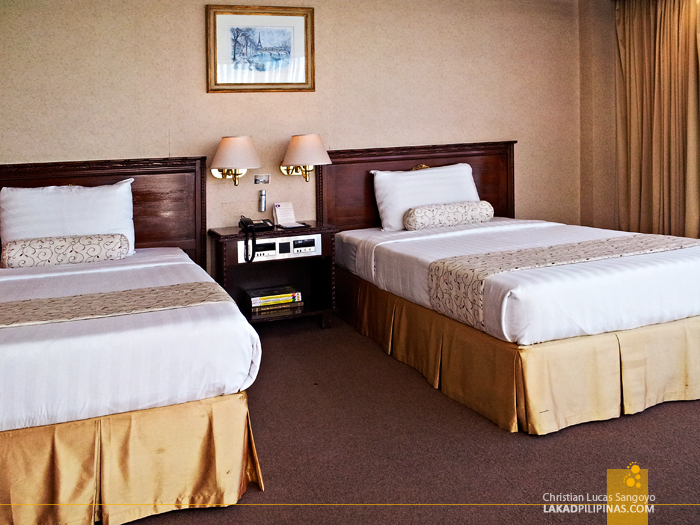 The Royal Room, our room is called. 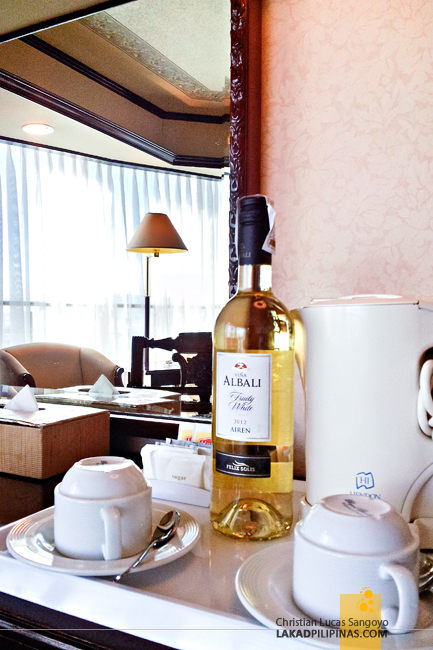 Its beds are soft, there’s complimentary water, coffee, tea—the usual works. There’s champagne on the table but we were told it’s not free. But no worries, the free Wi-Fi more than made up for that. I set up my laptop and immediately began searching for the second season of Games of Thrones. Amazing download speed, I tell you! I hooked up my laptop to the 32” flatscreen, opened a bag of chips and resumed the sixth episode of the series. After some mighty twist and turns in the story, I paused to take a CR break. 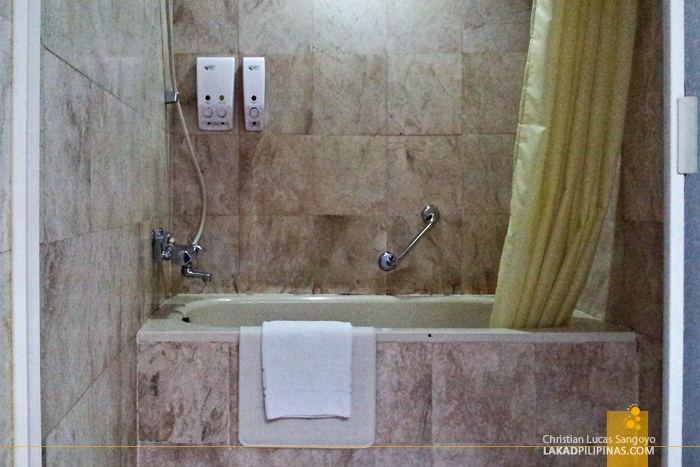 Lo and behold, we have a bathtub in the house! Although I doubt if we’ll have time to really use it. If only they have a TV set right in the bathroom, haha. 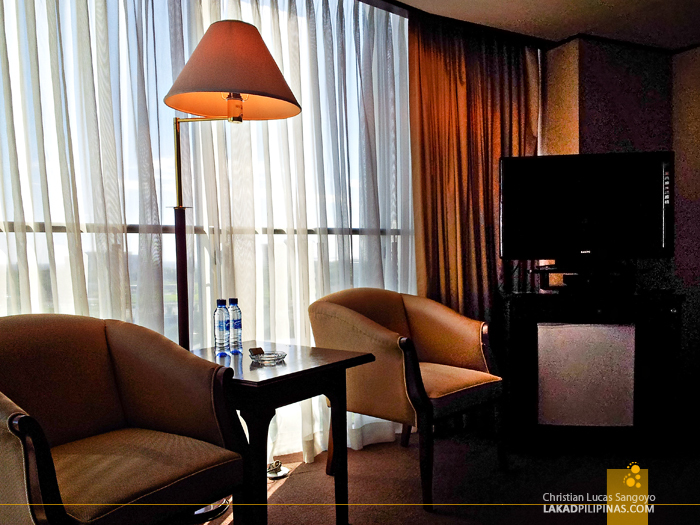 The room started to glow orange from Manila Bay’s setting sun as the phone rang. It was dinner time. We were told we’d have Japanese tonight and we didn’t have to go anywhere. 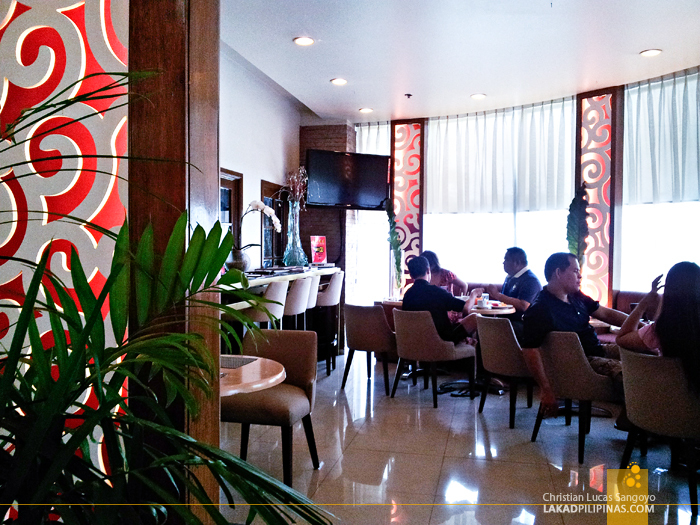 Networld Hotel’s own Kaishu Restaurant is just an elevator ride away. 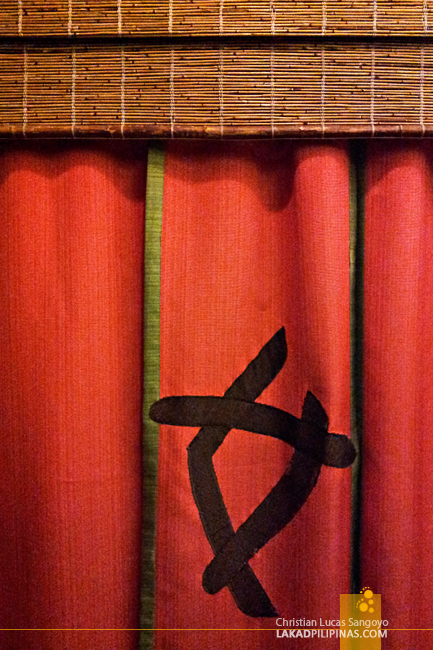 And so, there we were, four hungry staycationeers led by kimono-dressed ladies into a traditional Japanese dining room. It reminded me so much of my first dinner in Tokyo at Sakura Jaya some years back, sans the tatami mats and Geisha face paint on the ladies. We were given free reign on what to order and order we did. 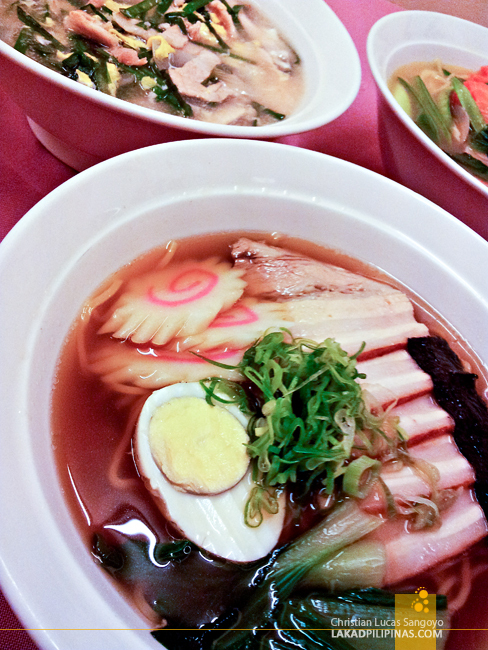 Varieties of ramen, gyoza, sushi, tonkatsu, tempura, bento boxes and everything else we can think of flooded our table. It was a proper Japanese feast, if I ever saw one. For drinks, a bottle of hot sake (Php200.00) was served along with Ramune (Php150.00). “What’s Ramune?” We asked one of the chirpy ladies in kimono. 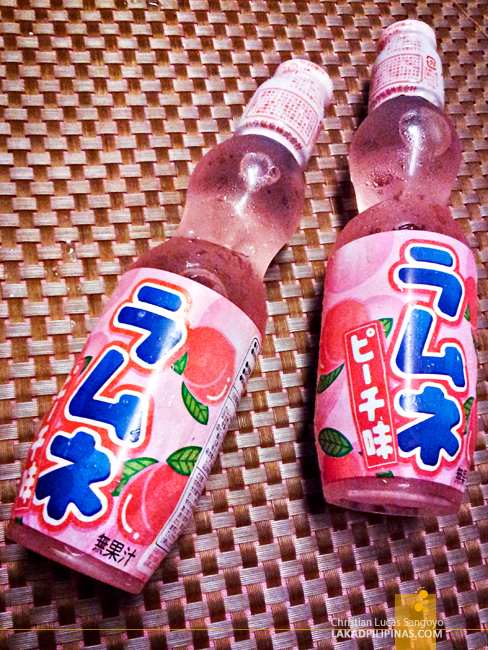 It’s like the Japanese version of Sprite, but taste more like lychee, she says. Alright we’d all like to have a taste of that Japanese Sprite. Everything’s good, but I especially loved the stamina ramen (Php320.00) I ordered. I honestly have no fascination over ramen, never even tasting one while in Tokyo, but this one’s really good! It went especially well with the gyoza (190.00). I also love the chicken they serve with the tonkatsu set (which was huge), very tender and flavorful. After finishing everything up, we ordered cans of Sapporo beer (Php250.00) and transferred to their videoke room. Videoke on a Japanese restaurant? Well, it is a Japanese invention after all, right? To cap the night off, we all went to Networld Hotel’s spa services. Dubbed as SM Kenko Spa it’s a Japanese-inspired spa facility complete with hydrojet massage, dry sauna, and steam rooms. I passed off on the sauna and headed straight to the massage area for an hour of Swedish massage and foot spa. The next morning found us at the Le Amoretto café and bar for breakfast. 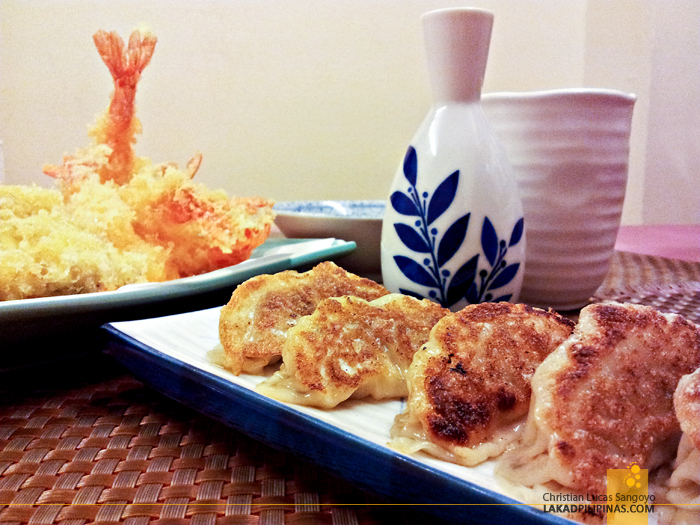 Located on the second floor of Networld Hotel, they serve (as you guessed it) Japanese breakfast buffet. Yakisoba, pink salmons, korokke (breaded potatoes), yakitori (barbecued chicken), and veggies litter the spread. They have an egg station but it’s too bad they don’t served tamagoyaki (rolled egg). The rest of the day was spent in bed. More chips in hand and swords clanging from the flatscreen. We’re almost at the end of Game of Thrones first season. 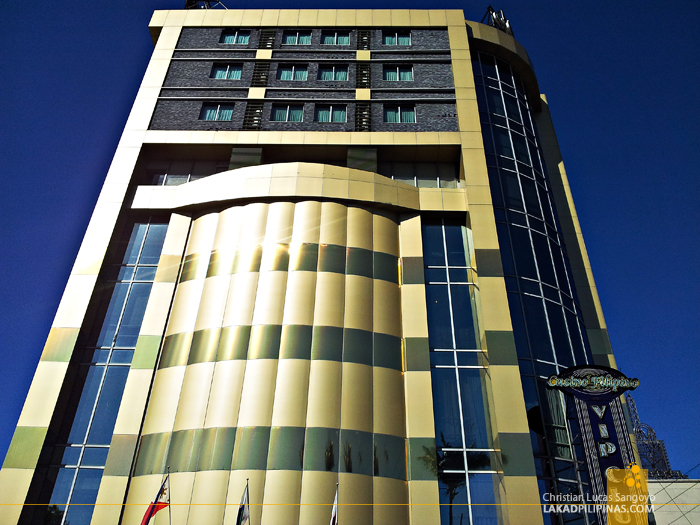 The only thing I can ask for really, is that Networld Hotel extend our stay some hours more. I want to have a crack at the second season, in style. Address: Jipang Building, Roxas Blvd.